Journalist and runner Tara Campbell concludes her story of living with ADHD and being liberated by the diagnosis which would prove a turning point in her life and career. Scatterbrained, weird, loner, stupid, conceited; I’ve been described as all of these. I’ve also been described as, focused, clever, determined, creative, intense, and compassionate. These conflicting descriptors have often left me feeling confused and misunderstood. As a child, navigating life with undiagnosed Attention-Deficit Hyperactivity Disorder (ADHD) was often overwhelming, and as an adult it only became increasingly messy. For many years I tried to escape myself, and I managed to survive by doing so, but inevitably, survival wasn’t enough. I wanted to live wholly, reach beyond the narrow definition of myself I had created and embrace my passions, my gifts. At the age of 35, this meant leaving behind a successful career in the daily news business and, in many ways, starting from scratch; to create a life nourished by my passion to run and to write. It may sound daunting, but with the proper ingredients making something from scratch can be a rich, creative, rewarding experience; culminating in something of quality to feed your soul and share with others. The key is gathering the right ingredients, no matter how difficult they may be to find, or reach – and being patient in putting it all together. When I made the decision to leave behind my career, I didn’t know I had ADHD. So, it’s not accurate to say in that decisive, life-changing moment, I made the decision to confront the disorder – that came later. What I did in that moment actually took far more courage than that – I was making the decision to do whatever it was going to take to redirect the course of my life to get it in line with who I fully am. I didn’t know exactly what it was going to look like, how I was going to make it happen, or how people would react to this drastic change, but I didn’t let any of this stop me. And in doing so I opened myself up to an uncomfortable level of vulnerability. In that chilling moment, when I made the decision pick up my life and change it, I clung tightly to the faith I had in my passions, my gifts. I was ready to fall if I had to, ready to admit I had made some bad decisions, ready to push back my pride, quiet my ego, and look beyond the immediate gratification I received every day as a news reporter. I was willing to expose all of who I am and let go of the image of myself I had created. Was it a risk? I suppose it could be viewed as one being I left behind a so-called safe career, but I didn’t see another choice. I felt completely, and entirely pulled to make this change; it was a feeling I found resting, quietly beneath the chaos of my mind. I believed my willingness to be vulnerable, and face whatever I had to face, was going to allow me to emerge wholly. In that chilling moment, when I made the decision pick up my life and change it, I clung tightly to the faith I had in my passions, my gifts. Though I had silenced these gifts for a long time, I believed they were still within me. My athleticism, I was confident never left me, and my ability to write, which I had discovered along the way, I knew I had another dimension to uncover. This faith, though it may seem a bit self-indulgent, is far from it. By embracing my gifts, I am not only nourishing my own soul, but I’m bringing into the world the person I was built to be; and in turn offering myself in service and support of others. We all have gifts to share, but so often there is something holding us back from living the life we were designed to live. For me, this “something” was ADHD. It wasn’t enough to simply say I was ready for change; I had to be willing to confront the disorder and put in the hard work to make lasting change. This started with opening myself up to the possibility of a diagnoses – and in doing so I witnessed the beauty of others sharing their gifts and passions. During the time of my diagnoses, and the many months of working out a comprehensive treatment plan, I relied greatly on the support and service of others. From my medical doctor who made the initial diagnoses, to my psychiatrist who made the final diagnoses, and my ADHD coach who talked through the whole process, and beyond with me. Each of these professionals played a critical role in helping me gain control of my mind. As they were sharing their gifts with me, in turn I was building the capacity to serve others with my own gifts. My mother is one part of my very loving and supportive family. For all of these people, and their gifts, I will forever be grateful. I committed myself to weekly visits with my ADHD coach, where we spent countless hours working to dismantle the negative narrative my hyper-focused, stimulus-craving mind had become addicted to. On the medication side of treatment, my psychiatrist played an important role in prescribing and working with me to find the proper medication. This helped relieve my mind of its ever-spinning ways, and gave me the opportunity to start rewiring some of the more destructive patterns I had developed. Medication alone, however, would not have been effective. 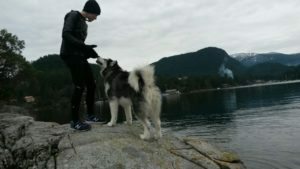 The support I received from my ADHD coach helped me understand my mind, its tendencies, its downfalls, its strengths, and provided me with the tools and the place to sort through the emotions connected with the diagnoses and the new life I was making. These conversations, and the strategies I learned, proved critical in allowing me to harness the best of my unique mind, and make long-lasting change. Candace, who patiently, wisely, and compassionately walked, talked and held me through the grief, doubt, and confusion of the diagnoses, and its aftermath. She was there to celebrate the small victories, and helped quell my impulsive ways with a humble reminder of the bigger picture and wholly-lived, awakened life I was creating. 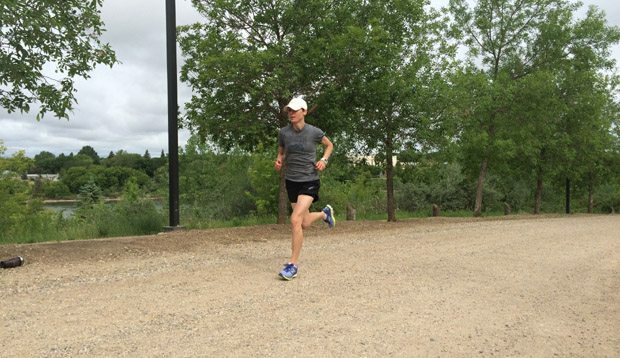 There were others too, like my running coach, who skillfully, and thoughtfully adapted my training through some of the tougher times, and who subtly reminded me not to give up on myself. Then there was my mother, who sat on the phone, thousands of miles away, as Candace asked her pages of questions about me as a child, which would then be submitted back to my psychiatrist to be used in the assessment, and eventual diagnoses of ADHD. My mother is one part of my very loving and supportive family. For all of these people, and their gifts, I will forever be grateful. For so long I lived as a fraction of who I am; to now to be living fully as I am, leaves me wanting nothing more than to experience each moment as purely and as deeply as I can. I’ve often been asked if I listen to music when I run, and the answer is no, I don’t. I find it to be a distraction from moments I want to experience to their fullest. Whether I’m checking in on how my body feels, or giving a nod to nature’s majestic ways, I’m always tuned into how fortunate I am to be doing what I love to do. With every stride I am living wholly – and there’s nothing more precious to me than that. For so long I lived as a fraction of who I am; to now to be living fully as I am, leaves me wanting nothing more than to experience each moment as purely and as deeply as I can. Whether I’m on a run, walking our dog Skylar, or spending time with family, I am present and grateful for this beautiful life – a life created from scratch. It wasn’t easy to make, at times I failed, and there are times I still fail. But even so, I will always choose this life over any prepackaged convenient alternative, because this is a life made whole, using the finest ingredients, and put together with a lot of love.